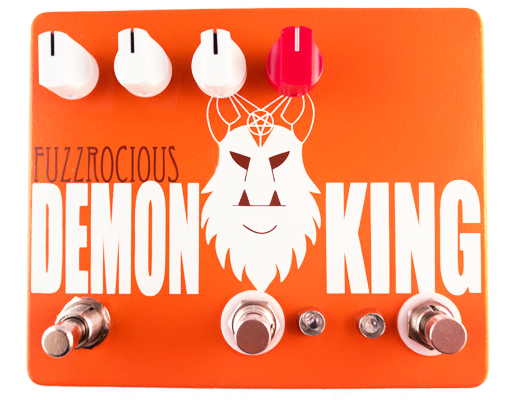 The Demon King is the “king sized” version of our Demon, a low to medium-high gain drive with distortion-like capabilities. With the gate/boost mod, it jumps into the gated fuzz range! 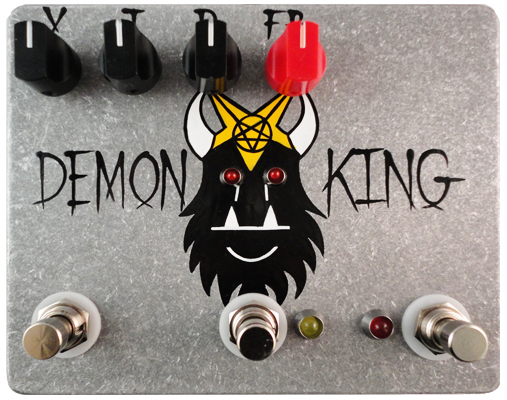 The Demon King can do the “just on the verge of breakup” thing at low drive settings or a pushed amp sound at higher drive settings. IMPORTANT: The screenprinted art is the same as the bottom-left image, but is not with an orange powdercoat, white demon/demon king text, and brown eyes/Fuzzrocious text. Pick the version of Demon King you want! 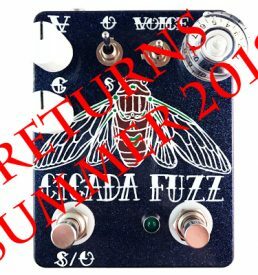 Throw on a boost and gate to round out this king size demon from Fuzzrocious and your heavy tone will never be the same! 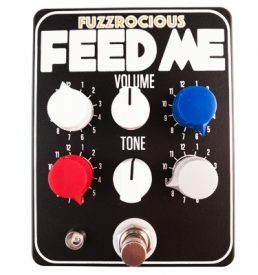 I think if I were to give it 5stars I would go back and get the momentary feedback as the latching feedback is a pedal tweakers dream, but maybe the switch I will rarely use. 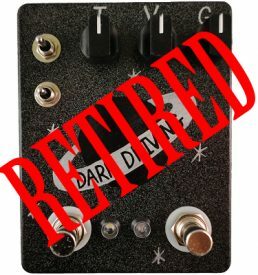 This isn’t reflective on the build at all the pedal is amazing. We can always mod the feedback for you! Just send us an email.